Are you in search of a safe luxury car for driving on Appleton roads? Look no further than the INFINITI Q50. This IIHS award-winning sedan ensures a smooth drive. Its alluring exterior and charming interior would captivate your senses. This sedan is complemented with the latest safety features and sophisticated infotainment system. So what are you waiting for? 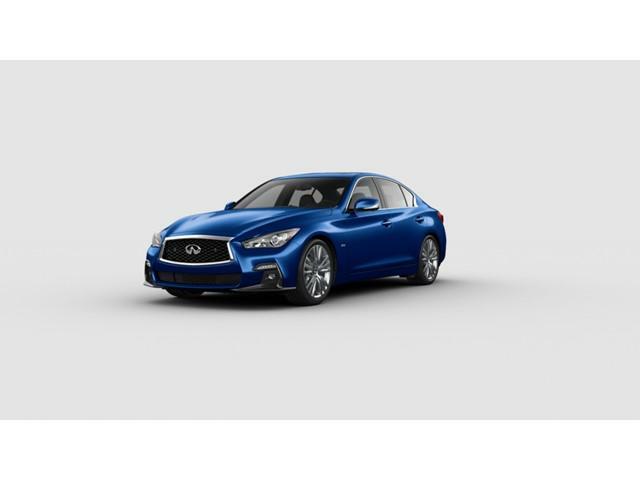 Visit Bergstrom INFINITI of Appleton and discover the latest inventory of the new Q50 today! Bergstrom INFINITI of Appleton is your one-stop shop for all things INFINITI. We have a huge inventory of new, used and certified preowned INFINITI vehicles for our customers to choose from. Be it any vehicle that you're looking for, we have it on our lot. However, if we don't, let us know your requirement and we'll find it for you. If you've any questions about any of the INFINITI vehicles on our lot, or their purchasing process, contact us on (920) 328-5748 and we'll promptly respond. While you can browse our inventory online, we invite you to visit us in Appleton to check out our new, used and certified preowned INFINITI inventory live today!